I, Paul Sagoo, President of Knollwood Auto Center, Inc. would like to personally welcome you to my shop, where we are committed to total "Excellence Through Performance." 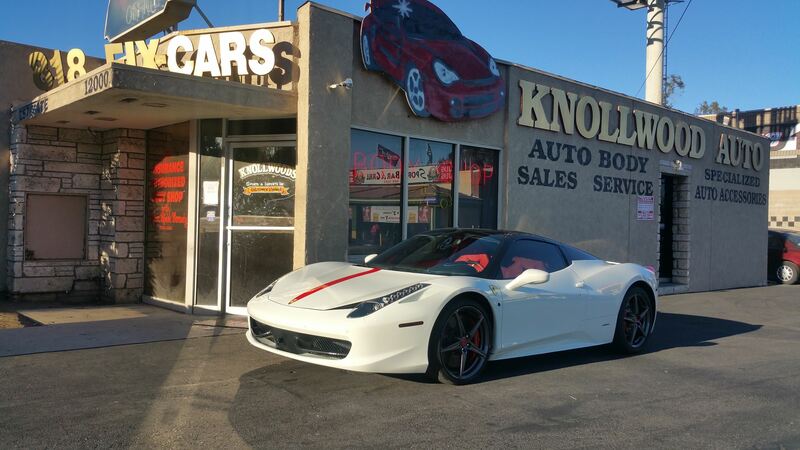 Knollwood Auto Center has been providing quality auto repair services in the San Fernando Valley and surrounding areas for over 30 years! "The absolute best! Paul is one the most honest, sweet and reliable guys I know. They are more like family and I would refer them to anyone!" - Aaron M.
"By far the most amazing body shop I have found in LA (and I have lived in and used body shops in downtown LA, the inland empire, and the valley)" - Janeane B. "Exceptional work! This body shop is as GOOD as it gets!! Paul is amazing, professional, and knowledgeable..." - Jennifer B. If you have body damage and need help, give us a call! Our highly trained staff of automotive professionals can help get your vehicle up and running and looking brand new again! We’ve been in business for over 30 years and have decades of experience to make sure the work you need gets done in a timely and efficient manner. If you have been in an auto accident and need help getting your car repaired and working like new again, we can help! We can assist you with the entire process, including making arrangements with your auto insurance company. In many cases, we can even make sure you get a rental while your car is getting repaired. We truly want to make sure you’re taken care of from start to finish!